Contains Product Links to Affiliate Stores (meaning a that I could make a commission if you make a purchase). I have a backlog of items to review and swatch because with my kids around I can’t get anything done that requires time to myself. I am not ashamed to say that I will be super excited when next Wednesday – the first day of school – arrives, and my kids will be in professional hands for 7 hours of each glorious day! Yaaaaaay!!! I love them more than anything but I never want to spend an entire summer with them again. It’s just too much for me. Who am I kidding though? One day is too much. I belong in a quiet office filled with books and adults. (The following things have happened just this past week when I have tried to work on my computer for more than 5 minutes: I found my 3 year standing inside the refrigerator (repeatedly); I found my cat trapped by a sheet of bubblewrap taped up around him like a fence/ pen; I have tripped over several “walls” my older son has erected in various spots in the house, using every available pillow and blanket as his “bricks;” a bowl of spaghetti has gone missing, only to re-appear like a graphic splatter painting outside the front door (and next to the pile of flower petals that were torn off sometime during this same 5 minute period), and in the playroom. Enough said?). Anyway, for now I am keeping it simple in my sporadic posts (when I actually get a chance to finish one). 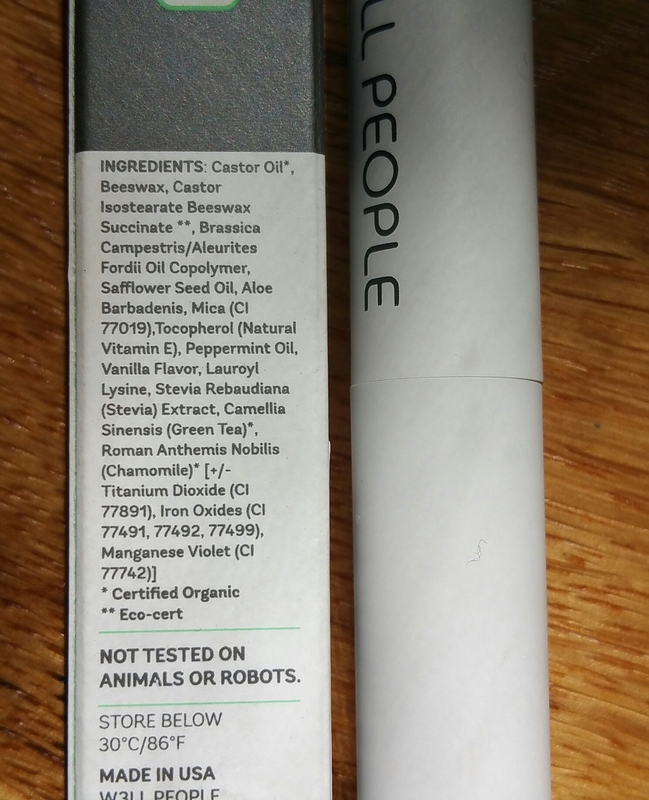 I want to show you a lip balm I just bought from a new-to-me brand, called W3LL People. You may have seen some of their products on Birchbox.com or in the beauty area of Whole Foods. But otherwise it’s been a “quiet” brand, in my opinion. I’ve been wanting to try W3LL People for a while because it’s a petroleum, paraben & sulfate-free brand, and generally appeals to me. Quick note though: strictly speaking W3LL People is not a vegan brand because some products contain beeswax. However I personally believe that the term “vegan” should refer to the slaughter and consumption of animals and not insects. In fact, I LOVE to kill insects. So I’m in the vegan camp where honey and beeswax are consumed quite frequently and without hesitation! I’m not sure how I would survive without the by-products of honey bees. Anyway, thanks once again to a post by Kathy at usgwp.com, I saw that Beauty.com was offering some great gwp’s and clearing out some great beauty items. I couldn’t believe a W3LL People lip balm was actually on sale at Beauty.com, and I easily decided to go for it. However the only sale color was No. 1 (coral), which isn’t my preferred shade. 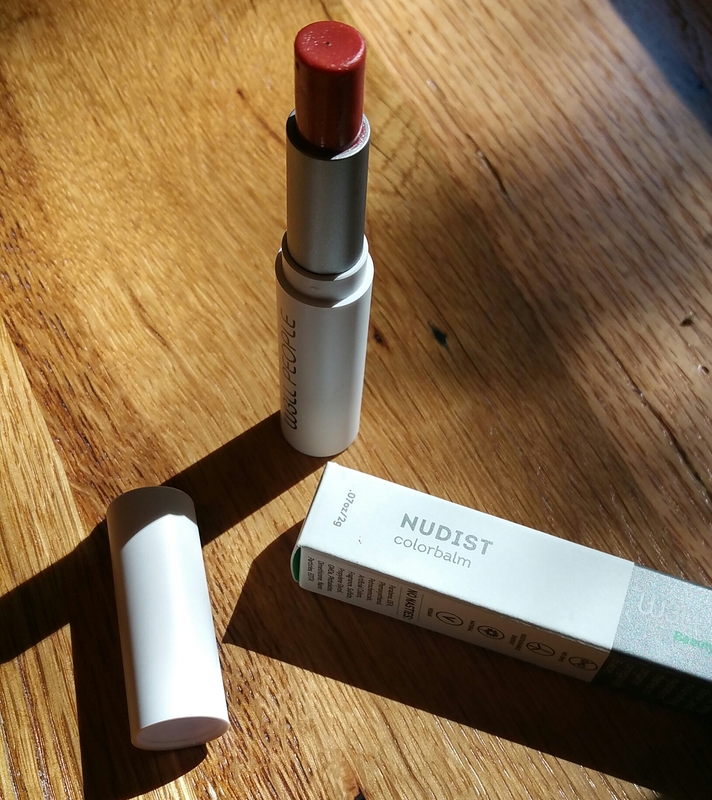 Luckily, one consumer wrote in a review that the color was very sheer (for her maybe not such a good thing, but great for me, since I wanted to try this stuff). 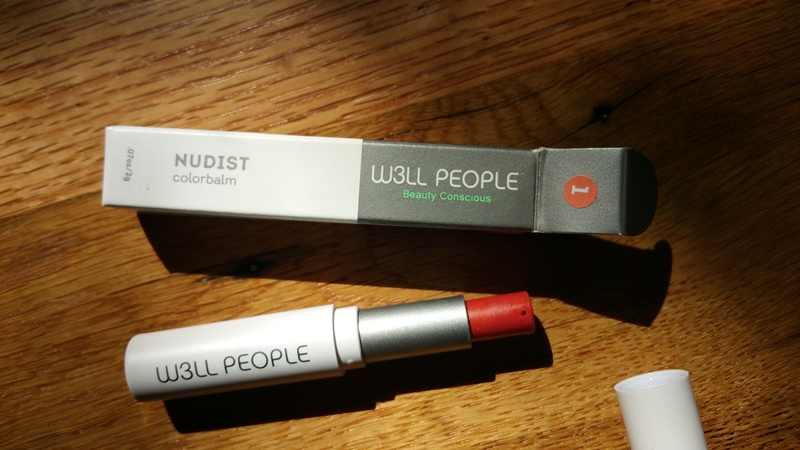 Here it is on Amazon: W3LL People Nudist ColorBalm Stick. The ingredients in the balm (shown in a photo as you scroll down) are great, however I am never excited to see mint oils in my lip and skincare products. 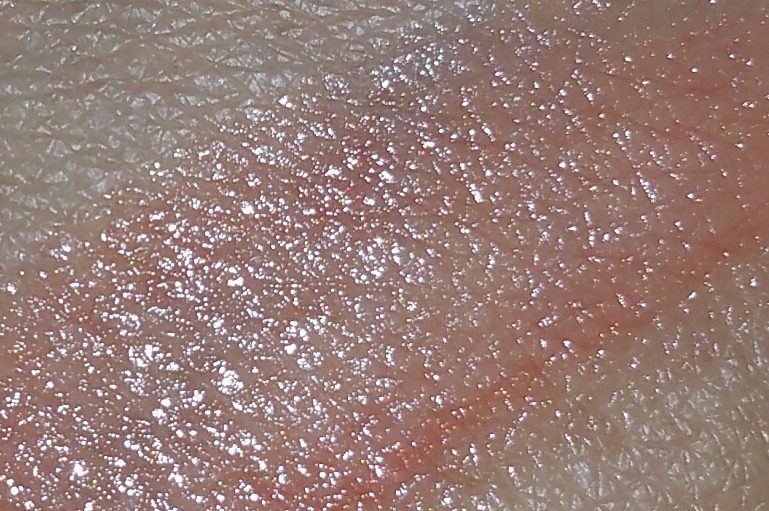 So aside from the minty essence of this balm, which is minimal when applied, I’d say it’s pretty close to perfect. I like the thick texture of it on my lips, which means it isn’t going to slip right off. I also like the sheerness of it, which makes coral a completely tolerable shade. I also like that the price (even when not on sale) is not sky-high– It retails for around $13.99. Seriously, that’s worth it. I mean, you can basically only get a drugstore lipstick like Revlon or L’Oreal for that price these days. 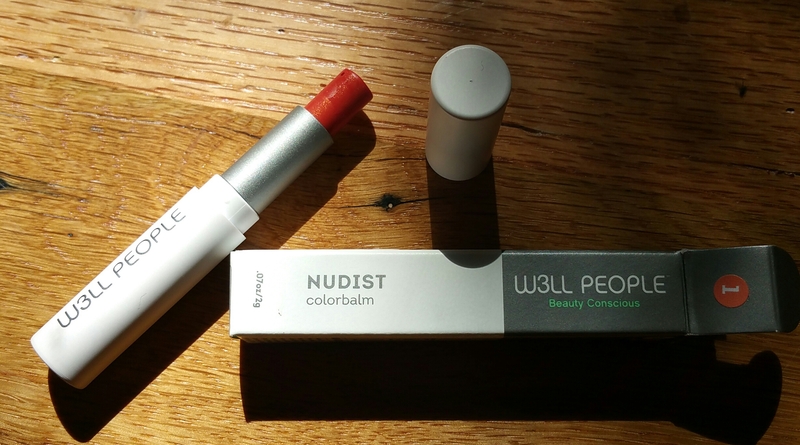 So, I’d say that W3LL People Nudist ColorBalm deserves a 2 thumbs up! 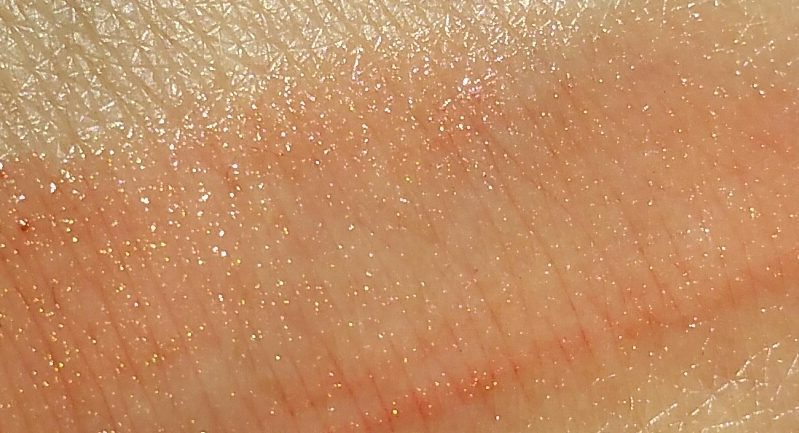 Scroll down for more photos and swatches. PREVIOUS POST Previous post: Ideas for Reusing, Repurposing, and Upcycling All Those Empty Birchboxes, Glossyboxes, Allure Beauty Boxes, Target Beauty Boxes, and so on! NEXT POST Next post: Unbranded: Are These Items Even Better than the Brand Name Versions?